One printable literacy activity making differentiation easy in Kindergarten as children learn their alphabet, upper and lower case letters and beginning letter sounds. Working a busy classroom, teachers are always looking for learning activities that make differentiation easier. We know that every classroom has a wide range of abilities. Add in multiple grades within the same Early Years class and the range in skills can be even wider. Literacy centres are a perfect way to cater for groups of students with different capabilities. 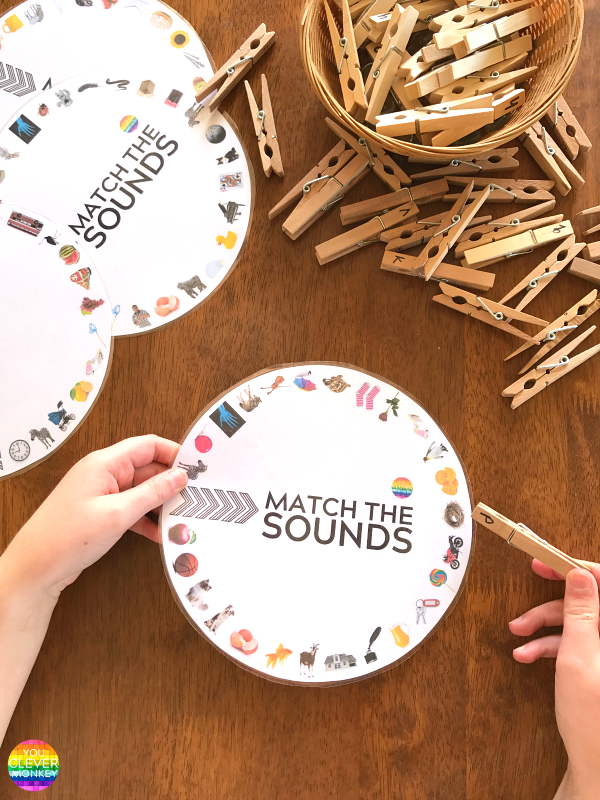 They are a fun hands-on way to practice many of the early literacy concepts taught in schools. 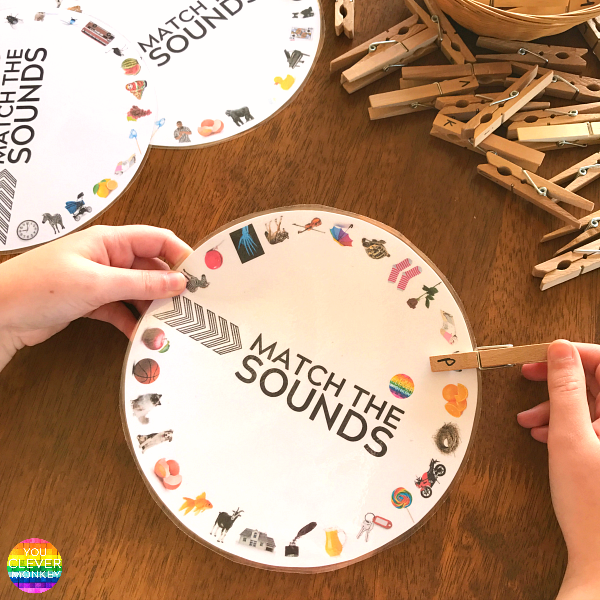 With some of my students still learning to recognise and connect letters with the sounds they make, I've created this set of letter and sound wheels for my classroom. 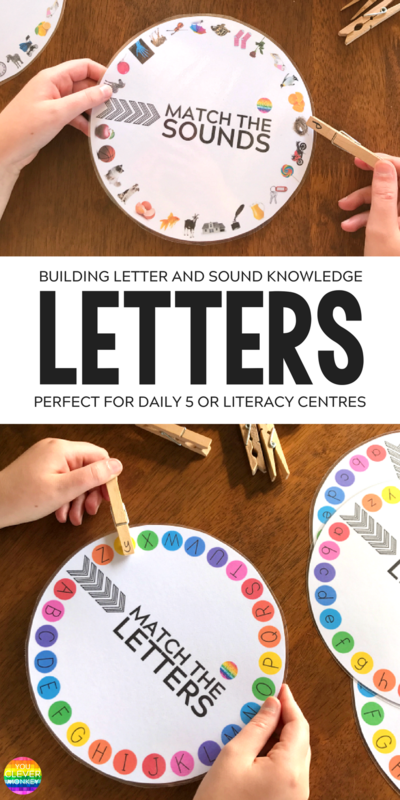 Knowing that my literacy centre groups usually number between 3-5 children, I've created five different printable circles for my students to try and match the letter to the initial sound. Enough for one each. Larger groups? Just print out and extra copy. Using real life pictures to make the image more easy to recognise, one circle has the images arranged in alphabetical order while the other four circles are mixed making them slightly more difficult. Adding a basket of clothes pegs with all the letters of the alphabet pre-written on them, the children are invited to try and match the letter to the beginning letter sound they hear when saying the word aloud. 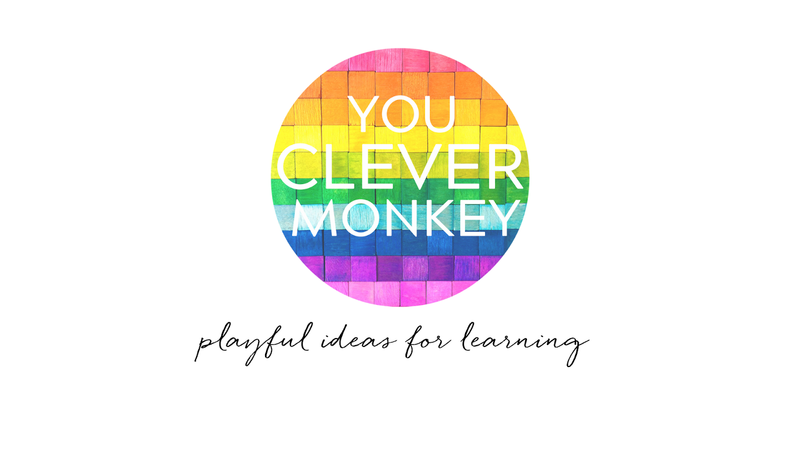 To make differentiation easier, I've also created two letter only circles. One with lowercase print and another with uppercase or capital letters. You can grab a copy of these for FREE (link at bottom of post). 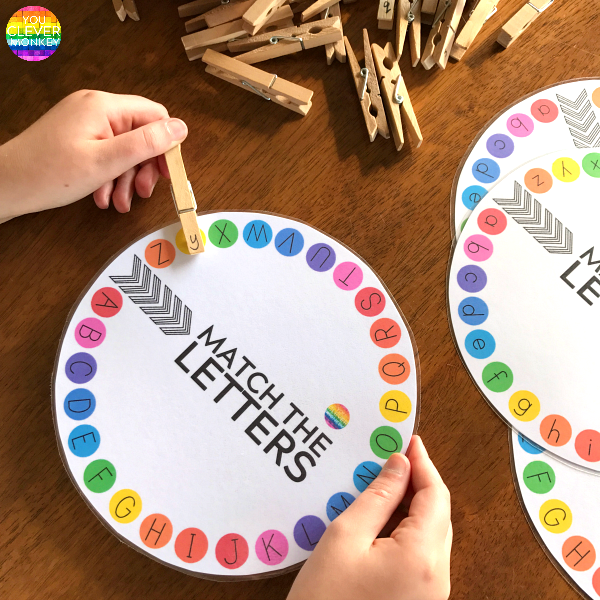 Young children still learning their letters and sounds may choose to work with the lower case wheel to match the letter on the peg to the same letter on the printed circle. Perfect for building visual discrimination before children are confident in their knowledge of the whole alphabet. Ready for more of a challenge? 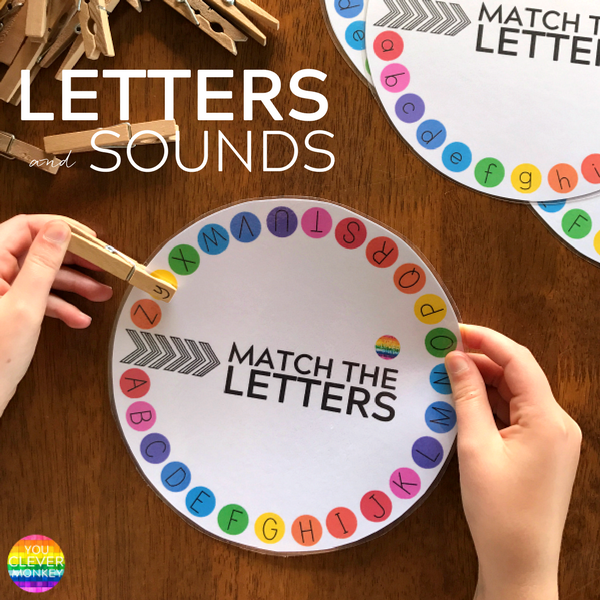 Those children would be encouraged to start matching lowercase to lowercase then move onto trying to match their lowercase letters on the pegs to the uppercase letters on the printed wheels. Need another even more difficult challenge? 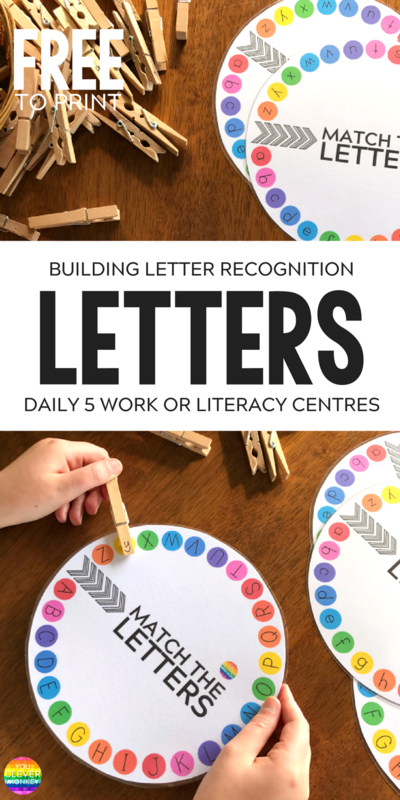 Encourage them to try the beginning letter and sounds wheel. With only the images for support, children then have to be able to recognise the initial sound in each word and have an understanding of which letter symbol that is to then be able to match the two together. 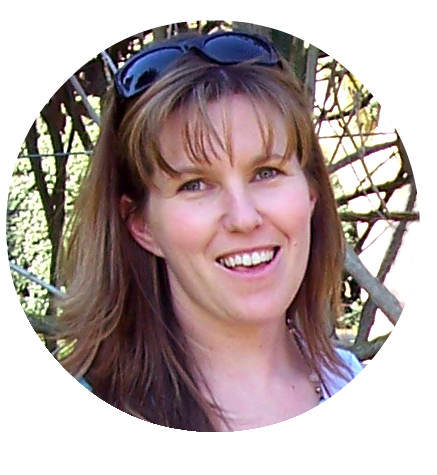 I include all three wheels in the one centre and encourage my children to think about what they already know and what they need to practice. You'll find them very good at selecting the 'best fit' activity out of the three for themselves. Want some for your classroom? plus blank colour only wheel in 2 versions with alternate spelling of color/colour. Just print, laminate and add clothes pegs to start! Just want the alphabet wheels? Grab your FREE copy from here.